Passenger side bracket. So far, I have found that the original non-visco motor mounts are up to the task. 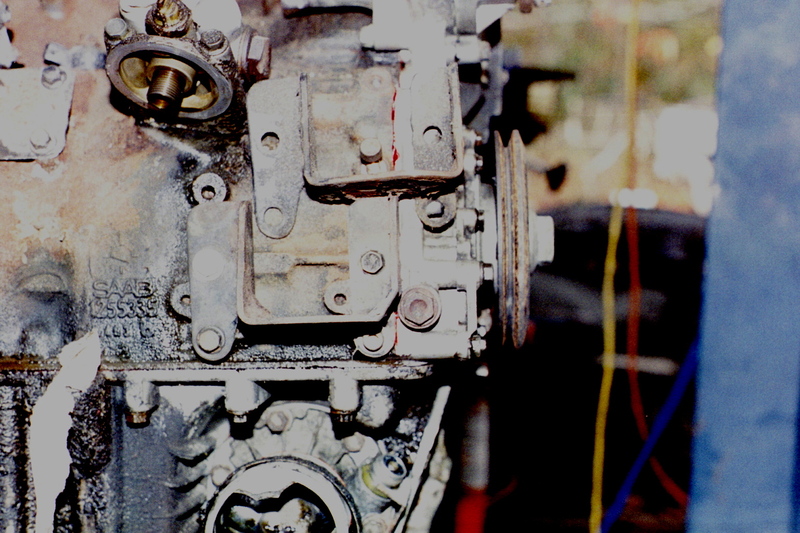 The bottom half of the bracket is the original, while the upper half is from the new motor. Notice the kink partway down. 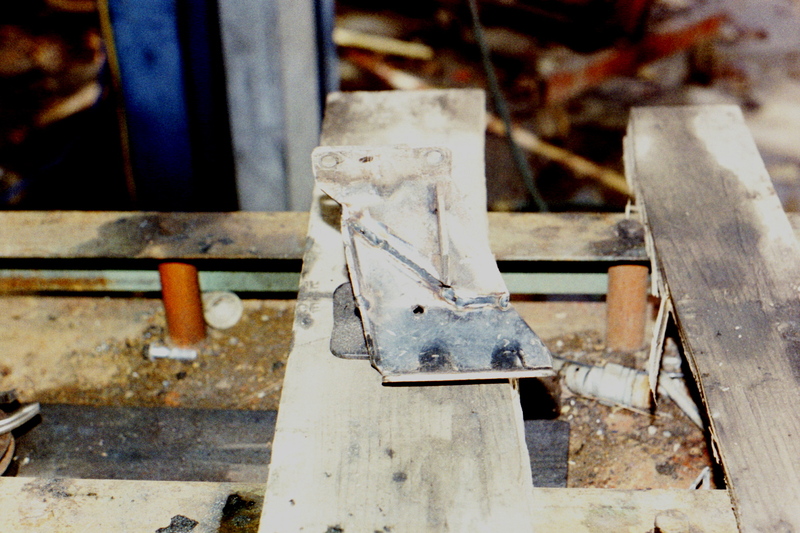 Driver’s side bracket. 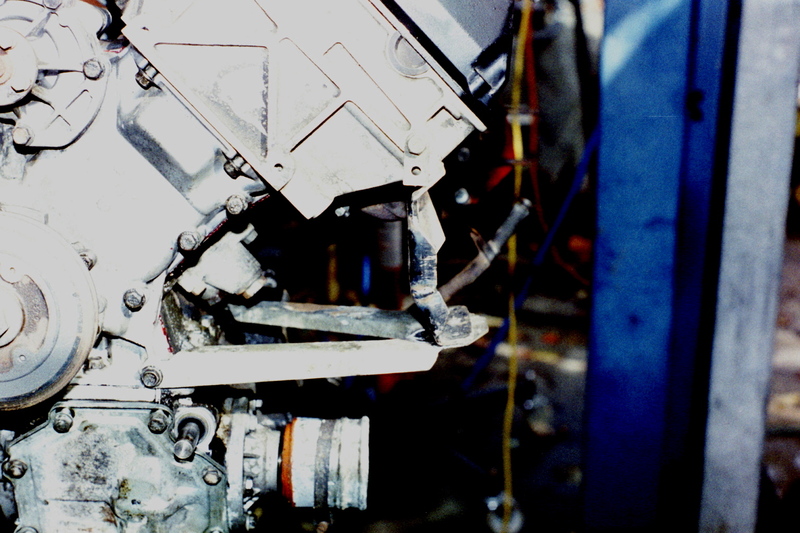 Note the corner has been altered to allow for oil pressure relief service. Another view. 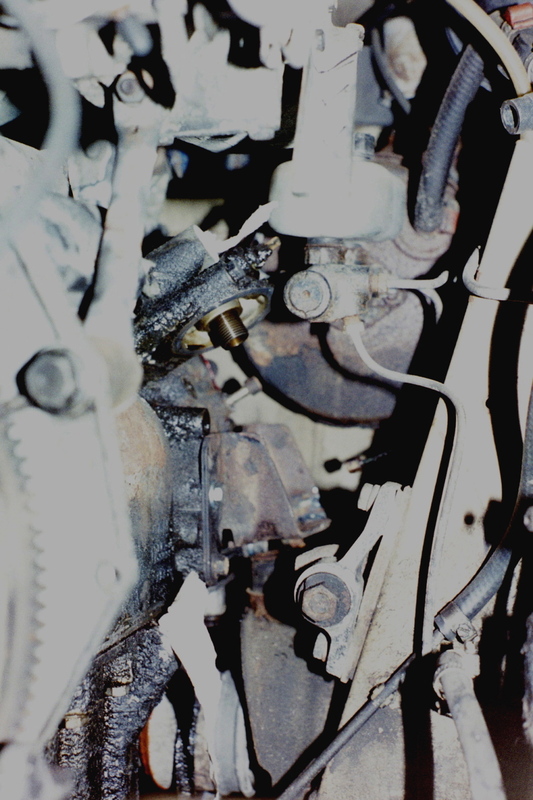 Get a load of the clearance between the oil filter pedastal and the brake master. It is as though they assumed you would attempt this motor swap.